SPECTRALIS High Magnification Module Receives FDA Clearance | Heidelberg Engineering Inc.
Franklin, MA – Heidelberg Engineering, a privately-held ophthalmic solutions company focused on advanced diagnostic instruments and IT solutions for eye care professionals, announced today it has received US Food and Drug Administration (FDA) clearance for its SPECTRALIS® High Magnification Module. This new module consists of a highly innovative lens and software upgrade that will be available for new and existing SPECTRALIS diagnostic imaging devices. The SPECTRALIS High Magnification Module elegantly demonstrates the capability of confocal scanning laser ophthalmoscopy (cSLO) to resolve microstructures by reducing intraocular light scattering when imaging ocular structures. The confocal scanning laser ophthalmoscope in the SPECTRALIS platform combines the selectivity of laser light with confocal scanning to provide image detail and clarity not available from fundus photography. Since cSLO imaging minimizes the effects of light scatter, it can also be used effectively even in patients with cataracts. This technology not only offers documentation of clinical findings but also often highlights critical diagnostic details not visible on traditional clinical ophthalmoscopy. 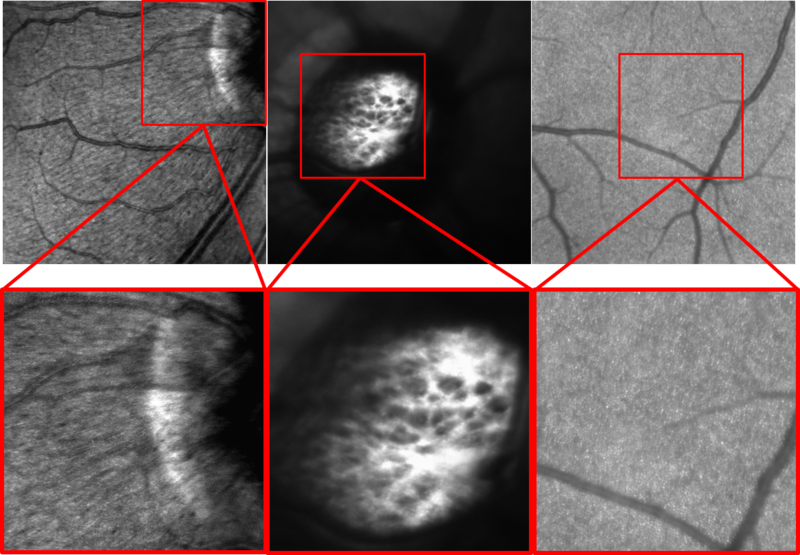 Even when imaging using high-performance cSLO technology, some ocular microstructures may be overlooked in diagnostic images when reviewing scans with larger fields of view. The multi-modality imaging properties of the SPECTRALIS allow the eye care professional to identify a region of interest within the standard field of view and then acquire magnified images at an enhanced resolution to investigate these regions at a microscopic level. The ability to see at a microscopic level enables the eye care professional to customize surgical and treatment regimen for the best possible visual outcome. “Having a magnified, high-resolution confocal view of ocular structures holds substantial promise,” explains Ali Tafreshi, Head of Product Management and Clinical Affairs for Heidelberg Engineering GmbH. The SPECTRALIS High Magnification Module will be available for demonstration at the American Academy of Ophthalmology booth 2236 and will be commercially available in December 2018.